Our California coast has an abundance of seals and sea lions, from San Diego to the North Coast. Wondering how to tell a harbor seal from a California sea lion? Hint – who barks, has long flippers, ear flaps, and rides the waves? November to February, visit the Monarch Butterfly Natural Reserve in Santa Cruz to see gorgeous monarch butterflies fluttering in the trees. 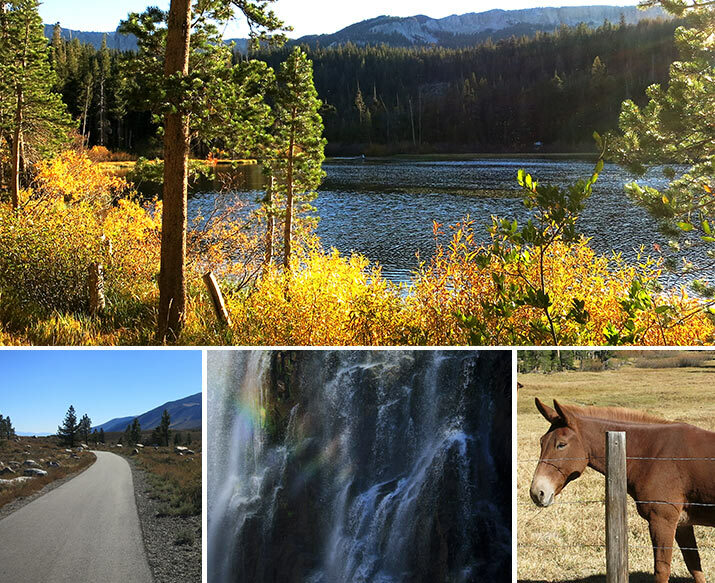 For the October Columbus Day holiday weekend, we traveled to the Eastern Sierra – Mammoth and Reds Meadow Valley.